If you have a positive pregnancy test you have three options to consider. Before you decide, get the facts about any options you are considering. It’s crucial that your decision is based on accurate information…not just emotions. Information is power. 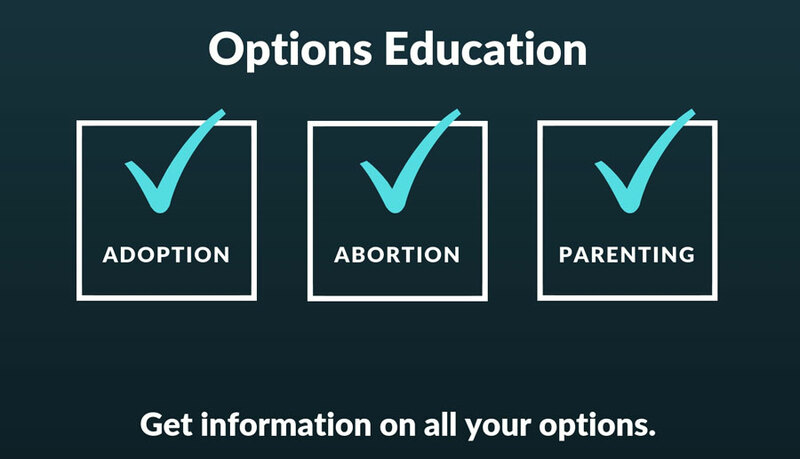 If you can learn about your options, you will make decisions that you can live with. There are no “right-for-everyone” answers, but there will be options that are right for you. Outreach Clinic can help you determine if your pregnancy is viable by performing an ultrasound. Then we can help you fully understand your choices. My boyfriend/husband doesn’t want the baby, but I do. Let us help you sort through the facts, so you will be able to decide if parenting is the best choice for you. We can help you understand adoption, and put you in contact with an adoption specialist. Making an adoption plan can be one of the most difficult decisions you will ever make. With open adoption, you can know your child and be a part of your child’s life. You can have the peace of knowing your child is loved and cared for by the couple you choose. Call for an appointment. We are here to serve you.